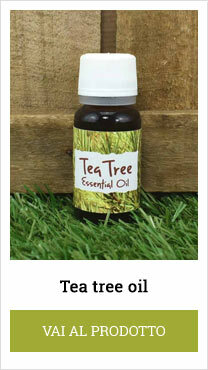 Tea tree oil is perhaps the best known and most appreciated of essential oils. It is obtained by steam distillation of the leaves of Malaleuca Alternifolia, a plant native to Australia. Tea tree oil has expectorant, antibacterial, antiviral and antifungal properties and is highly appreciated both for its therapeutic efficacy and because, unlike many other essential oils, it has very few contraindications. It is a natural and extremely versatile product. It can be used to treat skin diseases, such as fungus, dermatitis, psoriasis, but also canker sores, herpes, oral disorders and precisely to prevent and treat most of the diseases caused by cooling. The best way to prevent the symptoms from cooling is to vaporise the Tea tree oil in the home environment and if possible also in the work environment, using a special diffuser. In this way we go to purify the air, destroying viruses and bacteria that lurk inside the room. To do this you can use a comfortable electric diffuser to which you can add water and a few drops of tea tree oil. The percentage of dilution of essential oils is generally 2-3%, so three drops of tea tree oil per 100 ml of water are more than enough. Tea tree oil for the treatment of colds. In addition to prevention, Tea tree oil can also be used to treat winter ailments in a natural way. ... and in general all the typical cooling symptoms. 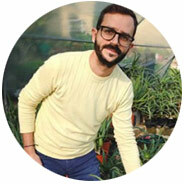 In this case, in addition to vaporising it in the air through the use of an electric diffuser, you will need to use the Tea tree oil to massage the skin in the points that I will show you in a moment. Be careful though. Tea tree should not be used pure, but should be mixed with a fat component , which can be any vegetable oil, or a cream. Being a pure and highly concentrated product, for an effective therapy, it is enough a really minimal dosage: a drop of tea tree, for a spoon of cream / vegetable oil is more than enough. If you intend to use an oil, you can choose the vegetable oil that you prefer. The common sunflower oil is fine, but also the extra virgin olive oil, sweet almond oil, coconut oil, shea butter, or any oleolite. On the chest : in case of cough, phlegm and bronchitis. Applications will be repeated two or more times a day . Penetrating through the skin, Tea tree oil, granzia to its expectorant, antibacterial and antiviral properties, will act on the symptom bringing a rapid relief and on the cause, destroying the microbe direct cause of the disorder. As an alternative to vegetable oil, you can mix the Tea tree oil with a cream, even better if it is a balsamic cream. 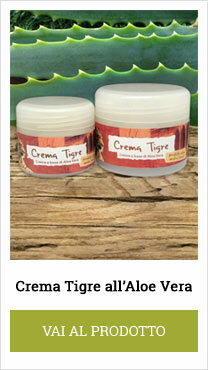 For its particular effectiveness I recommend the Aloe Vera Tiger Cream , which combines the expectorant and balsamic properties of eucalyptus, menthol and camphor, the anti-inflammatory and antimicrobial properties of Aloe Vera, whose gel significantly improves absorption through the skin of all other substances. You can add a drop of Tea tree oil to a spoon of this cream , to further enhance the effect. The applications must be done in the manner described above. Due to the presence of camphor and some essential oils, the Tiger Cream is not recommended for pregnant and lactating women and for people allergic or intolerant to camphor. Tea tree oil should never be applied to open wounds, eyes or mucous and it is always advisable to dilute it with vegetable oil or cream. It is not recommended for pregnant and lactating women and children under 5 years of age. It is also not recommended for those who are allergic or intolerant to Tea tree or any of its components.